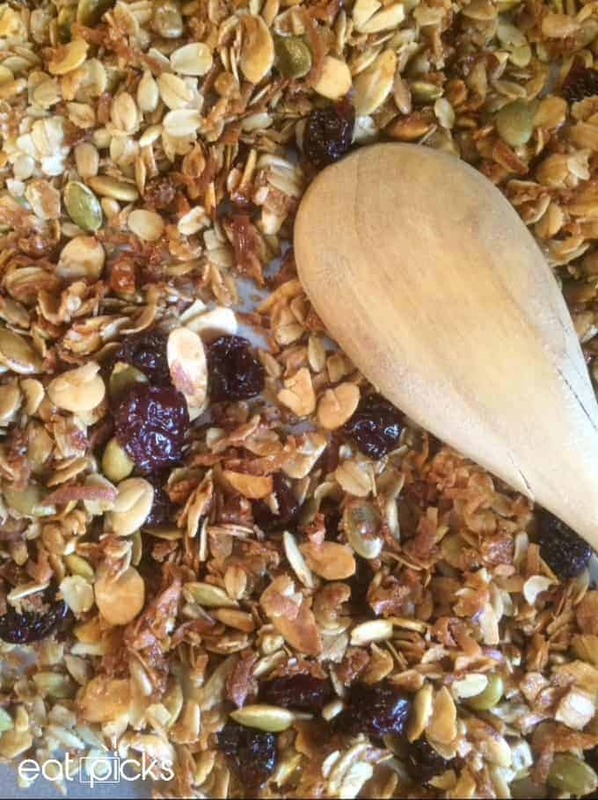 If you love granola, then this easy homemade granola is for you! I’m kind of obsessed with this recipe at the moment and have been making this or some version of it for a couple of months. Adding flavors here and there with fruits, nuts and spices, leaves my head spinning with all the possibilities. When that is the case, I like to get right back to basics and keep it simple. This particular recipe is as basic as it gets and is really, really good. Last Sunday I had a cooking marathon going on in the Eat Picks kitchen; we made homemade sauce, meatballs, hard-boiled eggs a clementine cake (recipe to follow soon!) and this homemade granola. I wanted to free up some time to catch up on other things during the week, so making some things ahead of time works for the really busy days. 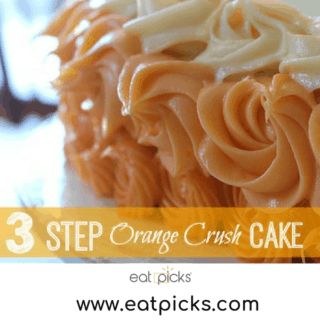 Well, as many of you know, I post a ton of our food pictures on Instagram – which you can most certainly follow @eatpicks or the hashtag #Eatpicks. In fact, I would love to see your foodie adventures too, so go right ahead and tag your food pics with the hashtag! Anyway….I posted my cooking marathon and one of the photos that has people wanting really bad? You got it. Homemade Granola! I put granola on just about everything; yogurt, mixed in with my Cheerios, on top of salads…just to name a few. Lately, I’ve really liked my Mason Jar Morning Parfaits- they are super easy and transport like a charm. Layer Greek yogurt, homemade granola, fresh berries; repeat. Close the top and you have yourself breakfast on the go! Ready to make some for yourself? Great! Here is the basic recipe. You can add anything you like to this…nuts, dried fruit, vanilla or cinnamon…it’s really up to you and what you like. Mix all ingredients in bowl until well coated. Spread in single layer on cookie sheet and bake in preheated oven for 10 minutes. Stir gently and return to oven. Bake additional 9-10 minutes or until golden brown. Let cool and place in airtight container or zip lock bag. 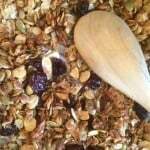 Homemade granola is so easy and cost effective! Perfect for breakfast or any time!